Have your cake and eat it too--recipes for sinful sweets with redeeming health benefits. Imagine a nutritional slam dunk while snacking on chocolate! Picture your taste buds raving to the tune of coconut torte! Visualize your toes break-dancing with every crunch of a ginger cookie! 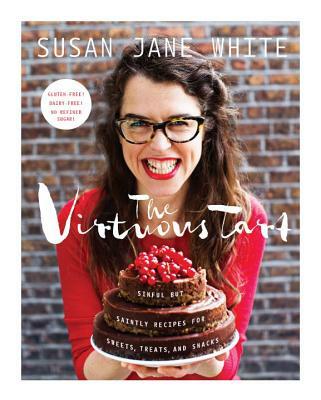 The recipes in The Virtuous Tart will nurse your sweet tooth and energize your body, and Susan Jane will have you laughing all the while. SUSAN JANE WHITE is a specialist cook, a food and health columnist with The Sunday Independent, and a former president of Oxford University's Gastronomy Society. When she was twenty-five, Susan Jane developed a serious immune disorder. This marked the beginning of her nutritional pilgrimage. She discovered that her energy levels were intimately linked with the food she ate, so she avoided foods that taxed her body--anything processed or highly refined. And it worked! Two years later she was back to her bouncy, bionic self, much to the wonderment of the medical community. She lives in Dublin with her husband and two little vandals.